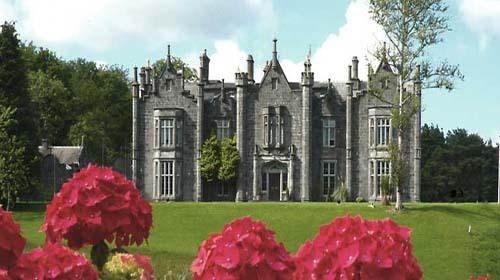 Belleek Castle Historical and Romantic extends a warm welcome to travellers and visitors seeking the good life and to enjoy the facilities of this ancestral home of the Earl of Arran. The Castle is informal, cosy and friendly, rich in décor and antiquities with many great open fires to warm your steps back through half a millennium. 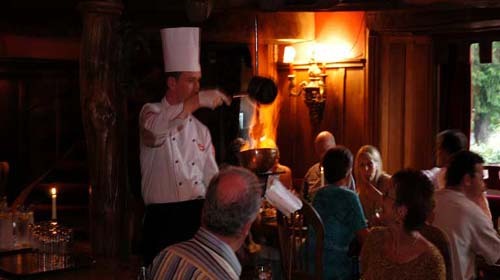 You may wine and dine at your leisure, become involved with the “Drunken Bullock” (your steak flambéed at the table) and served from a sabre all a flame! somewhat dramatic perhaps but an acclaimed classic. Our cuisine can usually offer a fine “Moy” salmon caught that day. Seasonally we take pride in the succulent Connemara lamb which is always available. A Master Chef prevails here and we trust that you will agree that our cuisine is the ultimate in the Country House Cooking. He is sensitive to vegetarian requests and enjoys the challenge, together with his efforts to avoid and exclude non-organic products, and his speciality is pleasing you…expertly. The ideal romantic setting for any fairytale Wedding Reception. You will be able to have the complete Castle to yourselves. 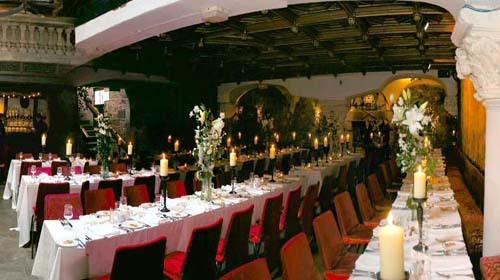 The Castles Baronial Hall can cater for formal Weddings up to 200 persons. A Dash of Drama with your Aperitifs and Night Caps. Constructed from Great Oak Balks salvaged from the galleons of the ill fated “Castile Squadron” wrecked on the Atlantic Coast of Co. Mayo four centuries ago. A superb collection of artefacts is exhibited and a classic “figurehead” of a Spanish Conquistador (Hernando Cortez) surveys all. 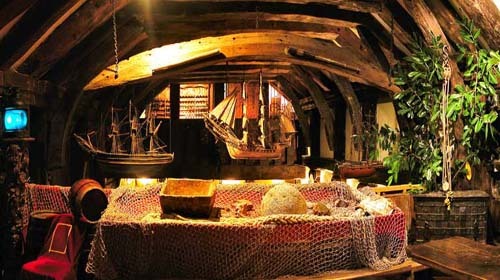 Continuing on the galleon theme, the “Tween-Decks” were brilliantly crafted from the remains of a 17 th century Spanish war vessel that wrecked on Bartha Island , North of County Mayo. 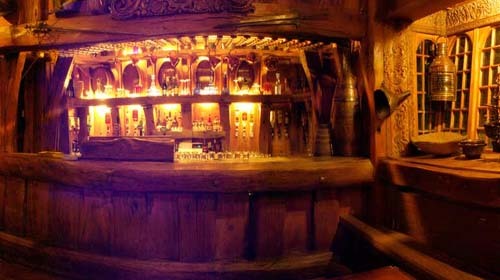 Years of passion and flair has left in its wake this architectural concoction of authentic pieces from that vessel. The “Tween-Decks” is used for weddings and seats up to twenty-five on the upper deck and ten on the lower deck. Overlooked by a massive 13th century Norman fireplace, this impressive Baronial Banquet Hall can host anything between sixty and two hundred settings. A large dance floor is the centre attraction here where your private band will entice you to dance the night away. A Castle Hire fee can be negotiated allowing you to use all of Belleek’s facilities privately. A sure way to impress.